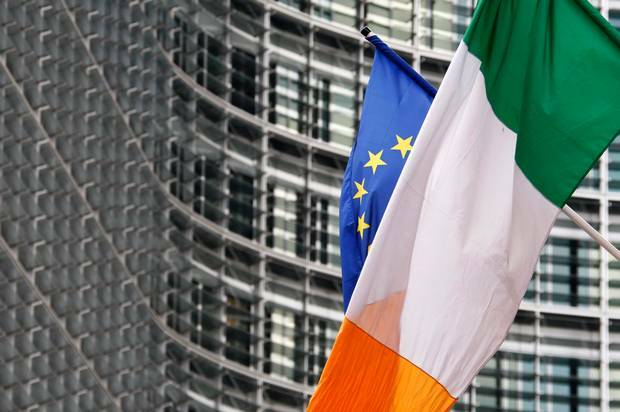 The Irish economy grew around six times faster than the European average in the three months of April, May and June and is on course to come close to matching last year's 7.2pc expansion. The economy grew by 2.5pc in the three months to the end of June, driven by higher technology exports in particular, according to new data from the Central Statistics Office. Average growth in the European Union and in the smaller Euro-area was 0.4pc in the same period. On an annualised basis, GDP was 9.1pc higher in the second quarter of 2018, versus the same time last year. GNP is also up, at 11.9pc. Despite the sustained pace of growth there is little sign in the data that the economy is overheating, however. Consumer spending, which accounted for just over half of domestic demand, was up by a relatively more restrained 1.5pc in the three months. Exports - in particular, tech services was the stand-out growth driver in the period, and while analysts agreed the figures continue to overstate growth, the CSO said there were no major distortions that affected the results. Davy chief economist Conall MacCoille said it will have to revise up full-year growth forecasts on the strength of the new numbers. "The multinational sector may be boosting the headline figures, but growth is broad-based across construction (+12pc), non-ICT services (+4pc) and manufacturing (+12pc)," Davy reported in a note to clients. The economy is now anticipated to grow by around 7pc for the full year, close to last year's 7.2pc. That may have only a minor effect on budget preparations because European Union fiscal rules tie spending capacity to GDP. The numbers show, even ahead of Brexit, that trade with the UK declined over the past year by around €1.1bn and Ireland's balance of trade with the UK has shifted to a deficit.